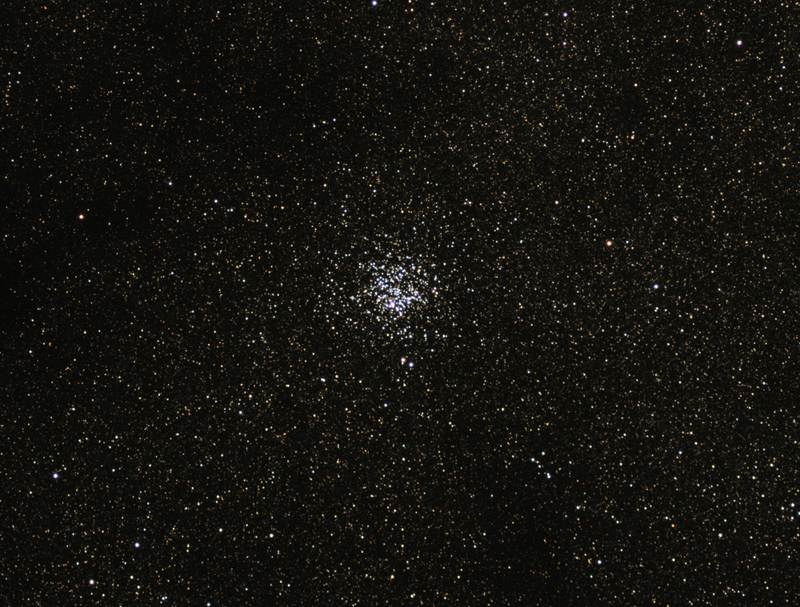 The Wild Duck Cluster (also known as M11 or NGC 6705) is an open cluster in the constellation Scutum. It is one of the richest and most compact of the known open clusters, containing about 2,900 stars. Its age has been estimated to about 250 million years. Its name derives from the brighter stars forming a triangle which could resemble a flying flock of ducks (or, from other angles, one swimming duck).